Congratulations to this year’s CSF Telethon student hosts: Andrew Hammond & Ainsley Drenning representing Silver Strand, Shenan Lewis & Jack Harvey representing Village Elementary, Luke Chisholm & Tamya Flenoy from CMS, and Myles Manning, Johanna Warner, Delaney Davenport, Emma Sandke, Chapin Miller-Maes, James Cook, Mateo Valles-Quintana, Emma Sandke & Naya Tamariz from CHS. Joining them will be CUSD Superintendent, Karl Mueller, as the master of ceremonies, and principals from each school site as they welcome CSF business partners and community members onto the stage to accept donations, announce new & exciting live student acts, read YOUR name as a donor, and check-out the fun being had at the exciting new “Wild Wild West Family Carnival” in the Quad. With the 2018 CSF Telethon just one week away, student hosts & acts are currently working hard to prepare for their moment in the spotlight. This year’s performances will highlight Visual & Performing Arts programs from each school site. 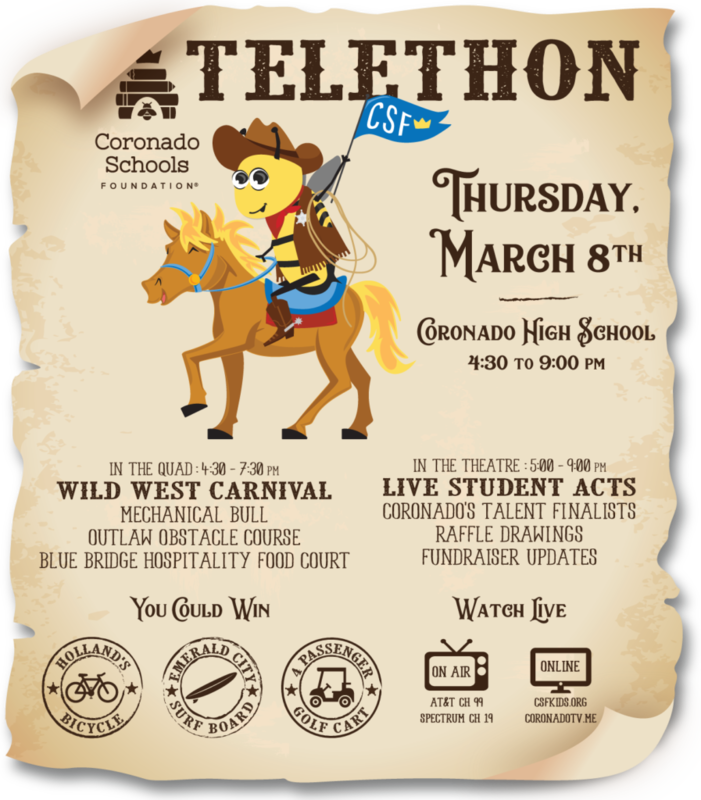 Make sure you see this exceptional line up of talented students and take part in the fun on March 8th at Coronado High School! The live show kicks off at 5:00 pm. 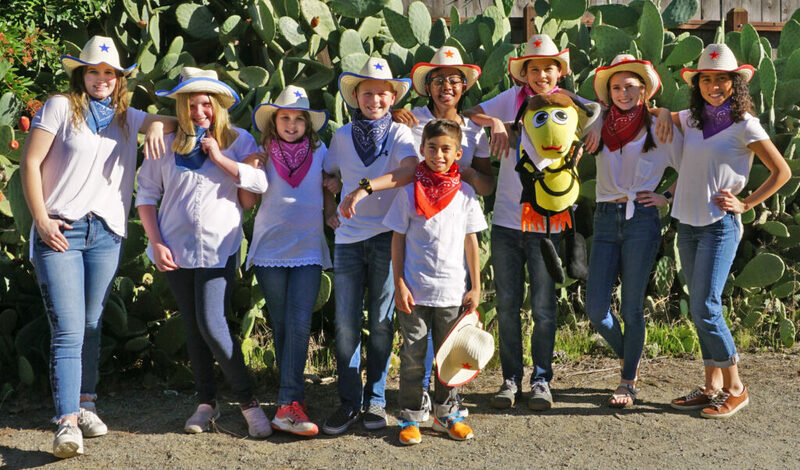 The popular “Wild Wild West Family Carnival” in the Quad begins at 4:30 pm with western themed activities that are sure to entertain kids of all ages! For a minimal fee, activities include a Mechanical Bull, Inflatable Western Obstacle Course, face painting, a photo booth and carnival games for families and the community to enjoy. Blue Bridge Hospitality will provide food from Little Piggy’s, Village Pizzeria and West Pac Noodle Bar with a portion of proceeds going to CSF. The CHS senior class will host their ever-popular bake sale to support their end-of year activities. 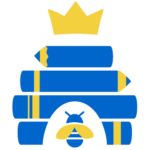 Back again this year is text to give and live leaderboards showing how the school to school competition is going. The school with the greatest participation will get a school wide pizza party from Village Pizzeria. Second place wins a MooTime ice cream party. And, you might win a Holland’s bike, Emerald City surfboard or street-legal golf cart underwritten by Park Life Real Estate! Winners will be drawn at the Telethon. Donate $365 or more for a chance to win a Holland’s bicycle or $500 or more to win an Emerald City surfboard and make sure to pick up your winning ticket for the street-legal golf cart underwritten by Park Life Real Estate! All winners will be drawn live at the Telethon. Please get involved – donate, volunteer and attend! Can’t be there in person? Watch it live on Coronado TV channel 19 (Spectrum) or 99 (AT&T) or from this site! Please CALL in that night or make your donation TODAY!